Our friends and long-time supporters ATEC, based in Worsley, Greater Manchester raised £95 for us over Christmas. They came up with a great idea. 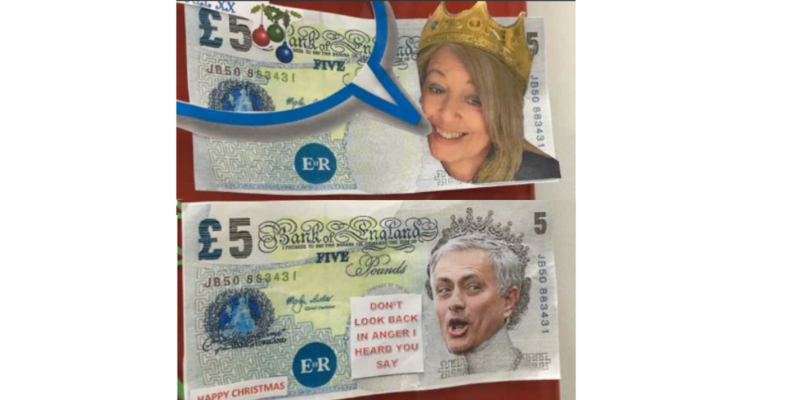 Rather than sending Christmas cards to each other, they decorated five pound notes with people’s heads and messages. Have a look at the photo above! The winning fiver got a prize and at the same time they raised money for Forever Manchester to help us fund and support local community initiatives. They’ve also updated their website with a swanky new logo and a page dedicated to Forever Manchester, why not take a look by visiting our business supporters page on our website? A huge Forever Manchester thank you for your continued support!